Announced at MacWorld 1993 and with few prototypes produced, the Wizzy Active Lifestyle Telephone (W.A.L.T.) was a tablet-like device that offered a variety of telephony services. The rare hardware, produced in "classic Mac" and dark gray variants, has occasionally made an appearance when sold between collectors, but it is thought the hardware has not been seen as a fully-functioning device in public outside its initial unveiling. Images and a video from Sonny Dickson shows W.A.L.T. as having a large greyscale touchscreen with a stylus for handwriting recognition and general input. Advanced for the time, the device was capable of offering access to banking services, fax and caller ID support, an address book, and customizable ringtones. Designed in partnership with BellSouth, the device was produced from PowerBook 100 components, and ran a specialized version of Mac OS 6 customized specifically for W.A.L.T. that ran from a hard drive. 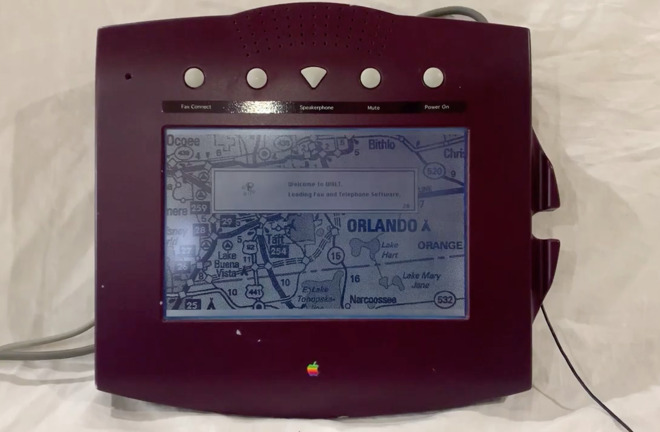 External connections included SCSI, VGA, and external audio, among other options, while inside it is said to include one of the best "modern examples" of a customized daughter board that interfaced between the touch screen and the rest of the hardware. W.A.L.T. units do occasionally appear for sale, and at a relatively high price. One instance was an eBay auction from 2012, which fetched $8,000. Manuals included with the units specifically identified it as a prototype device, as well as offering extremely basic instructions that many would deem to be common sense, including not to use it near water, not to drop the device, and to not step on connected cables. While the features are relatively basic compared with what is available in the iPhone and other mobile devices, the video demonstrates that Apple has been considering the possibility of an iPhone-like device for quite some time before it actually launched. The W.A.L.T. is the latest Apple prototype to have received a close examination. In March, photographs of the original development prototype boards for the 2007 iPhone surfaced, effectively showing an exploded version of the smartphone's internals as part of an engineering validation test (EVT) during its creation.